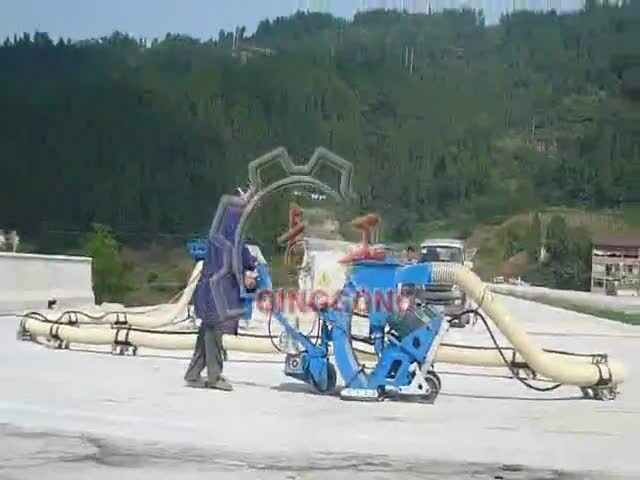 Floor Concrete Shot Blasting Machine video from Qingdao Qinggong Machinery Co.,Ltd. Qinggong horizontal movable shot blasting machine is a cost-effective and environmentally friendly method for preparing concrete and steel surfaces.This labor and time-saving process strips,cleans and profiles simultaneously.It leaves the surface immediately ready for the application of coatings or overlays. ♦ Used on airport runway,bridge decks,highways,etc.